The stretch of excellent weather condition of 2009 was unprecedented, and allowed us to explore new frontiers of grape ripeness in Champagne. The vintage offers a taste of the ripest and richest fruit, grapes in their prime, with the promise of the future wine's freshness and energy. The 2009 vintage brings a prodigious, sunny, bold and generous decade to a close. Palate: The fruit is majestic: ripe, fleshy and profound. Beyond the richness and a certain voluptuousness is a strong impression of consistency that prevails. The wine’s power is remarkably restrained. The various sensations – silky, salty, sappy, bitter and briny – converge and persist. 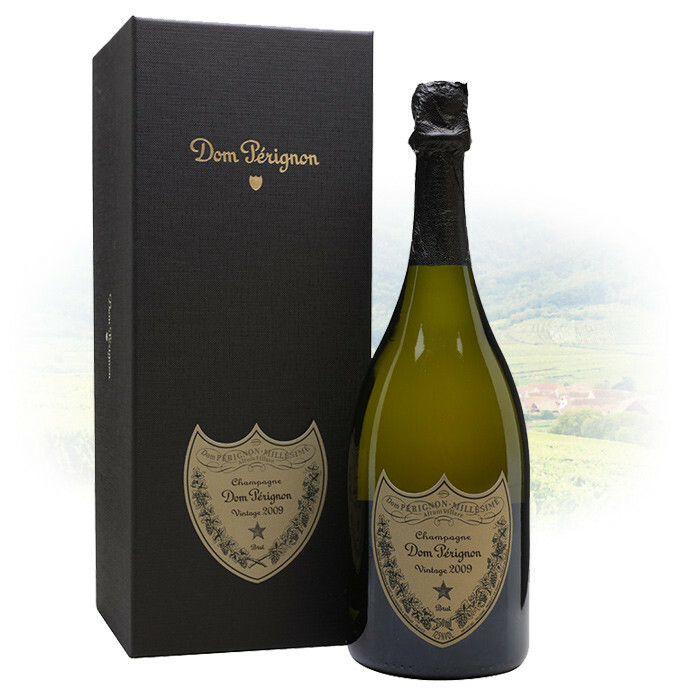 Food Pairing: Dom Pérignon Vintage 2009 is a wine that needs to be excited. It needs a framework, it appeals to be stretched with contrasts. The champagne reaches out to the "vegetable" and "mineral" worlds, calling out by sea urchin carbonara with cardamom mousse. It works brilliantly when it has something to chew on: octopus marinated in Sicilian orange juice and roasted in butter.